Gadsden County (pop. 46,389) is northeast of Liberty County, on the border with Georgia. The county was historically a major center for the growth of “shade tobacco” – used for wrapping cigars. The U.S. shade tobacco industry is now limited to the Connecticut River Valley. Gadsden County is the only county in Florida in which the majority of residents (about 56%) are African-Americans, and one of the few counties in the Panhandle that consistently votes Democratic. 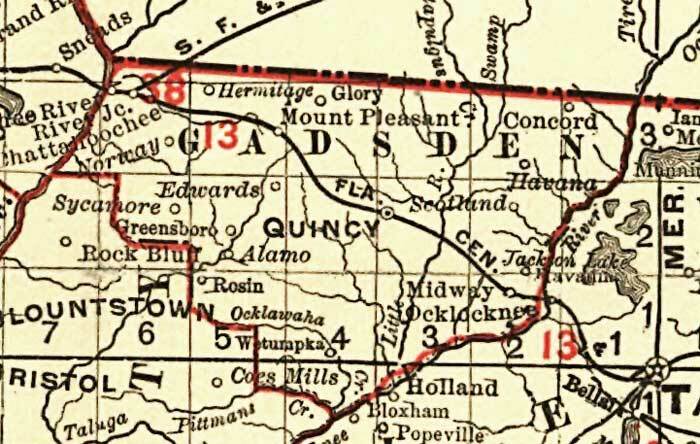 The county seat of Gadsden County is the city of Quincy (pop. 8,183), named for John Quincy Adams, sixth president of the United States. 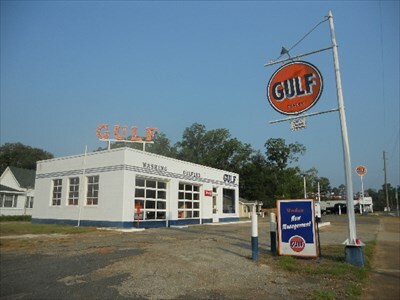 Quincy has a restored 1950s-era Gulf service station, along U.S. Highway 90. 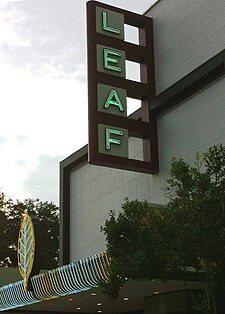 The Leaf Theatre in Quincy was built in 1949; the name refers to the local tobacco industry. It’s now the home of the Quincy Music Theatre. Country singer Billy Dean was born in Quincy in 1962 and was on the basketball team at Robert F. Munroe Day School. The city of Chattahoochee (pop. 3,618) is the home of the Florida State Hospital, established in 1876. 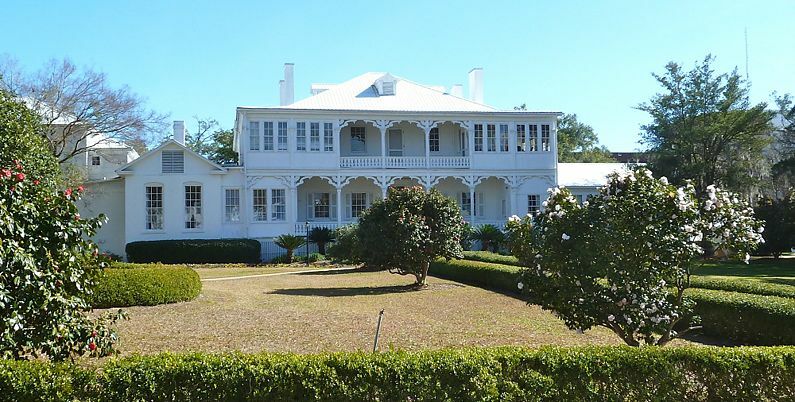 The site was previously the home of the Apalachicola Arsenal, built in the 1830s as a supply depot during the Seminole Wars. This entry was posted in Florida and tagged Billy Dean, Chattahoochee, Florida State Hospital, Fuller's earth, kitty litter, Leaf Theatre, shade tobacco. I’m guessing this was part of the Gadsen purchase.